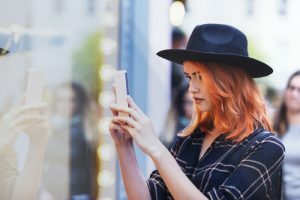 Technology is changing the retail space - wonder how machine learning is being used in retail and would like to see examples of the technology in practice? If you want to get to grips with the topic of customer intelligence, who better to ask than David Cosgrave, who leads the SAS® Customer Intelligence team in South EMEA? Over the last few years, David has written a number of articles, and contributed to several others, on the subject of customer intelligence. Together, his contributions shed a great deal of light on how customer information can be used to improve customer experience in a wide range of sectors and settings. Campaigning to your customer: When elections and marketing collide uses elections in the US and South Africa to discuss similarities between election campaigns and marketing. Both make extensive use of analytics to target customers (voters) and are becoming increasingly sophisticated. At what point, though, does use of algorithms become unethical, and are particular groups becoming disenfranchised as a result of targeted campaigning? Does big data spell big trouble on the campaign trail? follows up David’s previous article on elections, analytics and customer intelligence. It discusses the use of analytics to segment and target particular sections of the population, either for sales or elections, and notes that there are increasing data protection concerns in some quarters about the amount of information available to political parties, and how it might be used in the future. How to Pokémon go-to-market cashes in on the popularity (at the time of writing, in August 2016) of Pokémon Go. It suggests how retailers could use the game to make contact with potential customers as they search for Pokémon , and build relationships that will last long after the craze itself has died. When it comes to one-to-one marketing, even identical twins differ discusses personalised marketing and the importance of the “segment of one.” It notes in particular that personalisation requires the ability to react to nuances in real-world behaviour and understand whether they are life changes or minor details. This means that the use of advanced analytics is rapidly becoming essential to build customer experience. Digital footprints in the sand … a source of rich behavioural data identifies the enormous amount of data now available to retailers and other service providers about their customers. It highlights the importance of combining data from online and offline sources to create a single detailed view of each customer, to enable the organisation to respond effectively and coherently to customer behaviour. Real-time customer experience: Accessing the whole picture describes how good use of real-time analytics to drive action can hugely improve customer experience. It suggests that real-time customer experience is about using data to understand customer behaviour, and then reacting to that to make decisions that optimise customer experience. How technology is changing the retail space discusses how machine learning is being used in retail and gives examples of the technology in practice. It notes that some of the most productive uses have been in combination with other software, such as facial recognition. Machine learning and the retail market returns to the theme of the previous article, but with a focus on the use of machine learning for customer segmentation. This, in turn, can be used to improve customer experience and retail efficiency. Artificial intelligence and the future of retail goes wider than simply machine learning, and adds other elements of artificial intelligence to the mix. It discusses in particular the benefits of early adoption of new technology, and the “early mover” advantage in retail. Delivering a new level of customer experience explains David’s view that customer expectations are changing across all sectors because of market leaders such as Amazon. He comments that it is no longer enough to keep up with your own sector. Instead, businesses have to keep up with the best across all sectors, in this case using analytics to improve customer experience. uses Black Friday as a “hook” to discuss how online retailers can obtain and use appropriately anonymised customer information to inform their activities without damaging customer privacy. How analytics can take the “black” out of Black Friday notes that mass online retail from events like Black Friday generates huge amounts of data. It suggests how retailers can use analytics to take advantage of that data to improve customer experience and therefore sales. 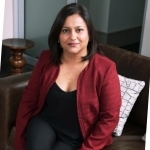 Vijayne Govender works as regional Marketing Lead from our SAS office in Johannesburg, South Africa. Over the past decade she has worked in the ICT industry and discovered the power of global brands and how the best, most innovative technologies can elevate businesses, drive revenue & enhance customer experiences.